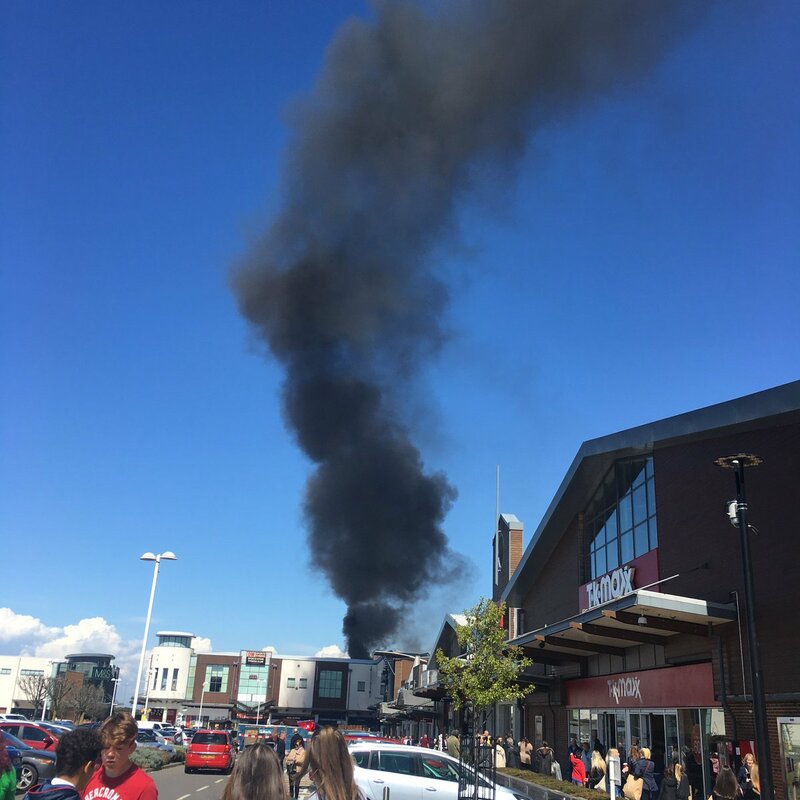 There are reports that a shopping centre in Kent has been evacuated after a fire broke out in a yard on the complex. Kent Fire & Rescue Service say they sent a crew and an engine to tackle a fire in a cardboard compactor at Westwood Cross in Broadstairs. The fire service were called at 12.11pm. They said the fire was located in a yard area away from the main buildings. Firefighters used a hose reel to put out the fire. The incident finished at 12.35pm. Shoppers and passers-by have been sharing their images of the incident on social media. The first of 29 new fire engines has been delivered to Kent Fire & Rescue Service. The trucks are smaller, easier to manoeuvre and are equipped with the latest technology in firefighting. Tom Savvides reports. Residents have spoken of their relief that no one was killed when a huge blaze ripped through a block of flats on Oak Tree Road in Ashford. In the video below, local resident Hermione Best, Labour Cllr Derek Smyth from Kent County Council and Labour Cllr Jill Britcham from Ashford Borough Council, speak to ITV News Meridian. Work to demolish a block of flats in Ashford, where an explosion sparked a huge fire, has begun. The blaze badly damaged a row of houses on Oak Tree Road earlier this week. Investigations are ongoing into the cause of the fire, although Gas distribution company SNG confirmed one of their engineers was working on site at the time. Today, workmen are removing debris from the top floors of the properties, which housed a number of people in flats. Families have been moved to temporary accommodation until the council can find them permanent homes. Grandmother Jacqueline Pearce and her granddaughter Chelsea were in their house in Ashford when a series of explosions ripped through a neighbouring terrace. Chelsea rang the ambulance and they both helped people as they escaped from the flames yesterday afternoon. It's been confirmed that a gas engineer was working in Oak Tree Road, where there was a huge explosion yesterday. There is an ongoing investigation into the cause of the incident, but Gas distribution company SGN has confirmed there was a worker at the location. Several homes have been badly damaged by the fire, which occurred at a block of flats, and several people have had to leave their homes, with some being treated in hospital. Authorities are working to determine the cause of the explosion, which sparked a huge blaze at a block of flats in Ashford. 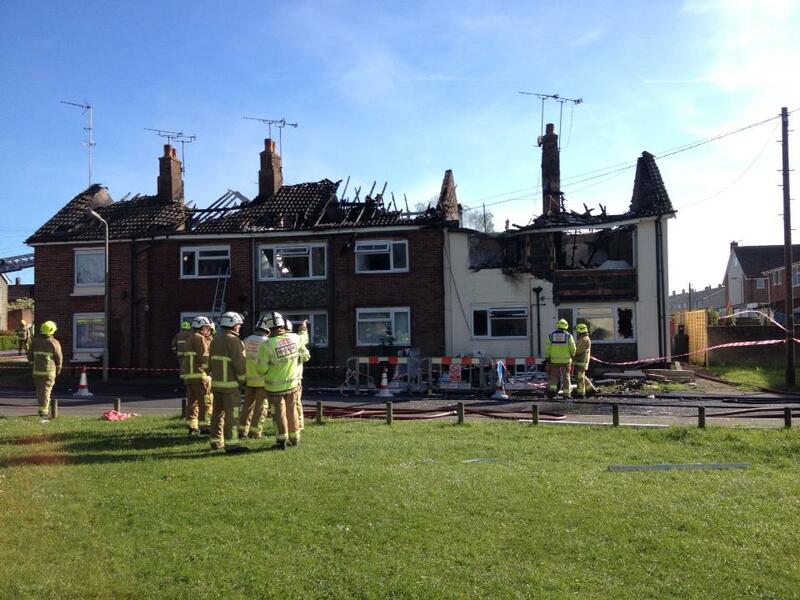 A man's recovering from burns tonight after an explosion at a block of flats in Ashford. It happened just before four o'clock this afternoon on Oak Tree Road. 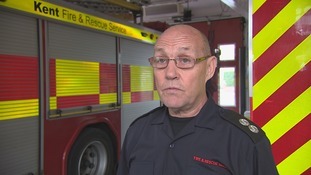 David Johns reports, speaking to resident Pete Collins, eyewitness Tony Hitchin and Rupert Roberts from Kent Fire & Rescue Service. 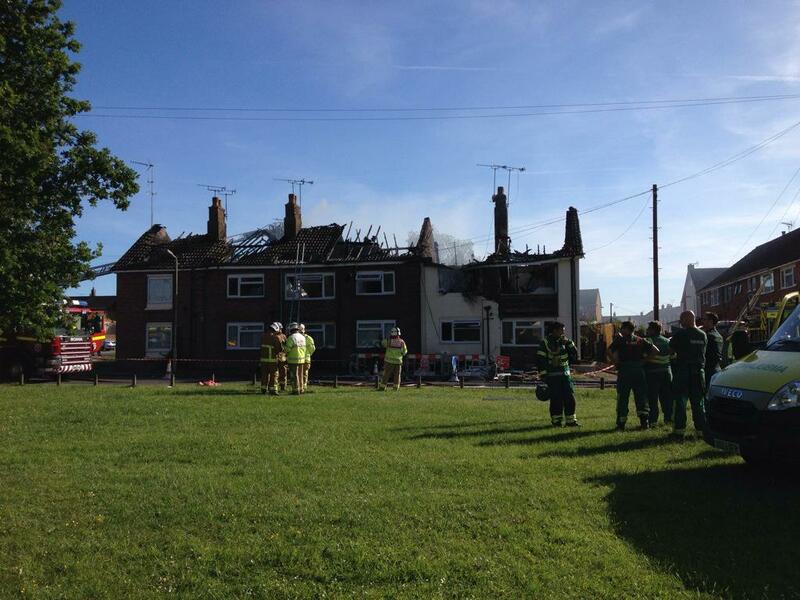 A huge fire affecting several homes in Ashford could have been caused by a gas explosion. Firefighters have been tackling the blaze since earlier this afternoon. A row of buildings, containing flats, have been affected by the fire. Firefighters are tackling a large fire in Ashford involving several buildings. One man has been treated at the scene for burns and the effects of breathing in smoke. A row of buildings containing flats are affected by the blaze. Kent Fire and Rescue say one building is 'well alight' and another has a fire in the roof space.